I’m sure in your search for getting your business online you have come across a number of companies who are offering “Free” websites. Most of the free websites are Do It Yourself and Drag and Drop style websites. The company will usually have a headline like “Get Found On The Web” and sell you a SEO Service package for £x per month. All you have to do is choose a good colour scheme, put a few pictures of your business on and write a bit about your business. Once thats done then the customers will come find you online and come flocking in. Wrong! Lets have a look at the reality. Most free websites packages aren’t actually free. When you sign up for the free website package you are usually tied into a monthly fee or sometimes they will entice you with a very cheap first year fee. So what are you paying for as it doesn’t cost them to build your website as you do it. You are being charged for hosting and the other services they offer, there are numerous places where you can get hosting a lot cheaper than the “Free” sites. If you are thinking of an eCommerce store just be aware that a lot of the free eCommerce platforms will take a percentage cut of everything that you sell. The domain name will belong to you and you built it, but you do not own the website. Because you used the hosting companies framework to create your website, if say after the first year, you decide that you want to move your site somewhere else, you can’t. Your only option is to start from scratch and rebuild your website. 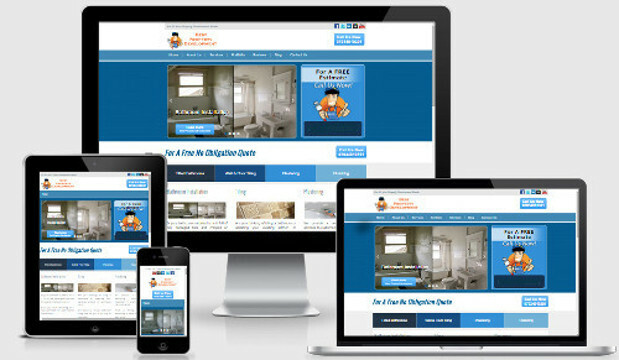 Can You Make Your Site Shine? There are a lot of things on the free sites that you can change, colors, text and layout to a point. But you have to keep within a general framework and you can’t change the details that can make a site standout. If you business starts to grow and expand and you want to add specific items to your site, the chances are that they probably will not support it. Will You Be Found On The Web? As mentioned above a lot of these companies sell their “Free” websites with the promise of getting you found online. There is a lot more to getting on page one of Google than simply putting your website up. If there wasn’t then Best Business Development would not exist. From what we know Google uses over 200 metrics to determine the rankings of websites, and no one except of course Google, knows how much weight is given to any of the metrics. To get and keep our clients on page one we have to be continuously optimising the website and staying up-to-date as Google regularly changes their metrics. If you just want to get a site online just to say you have one and you are not bothered if anyone ever finds it, then by all means create your site on a free platform. 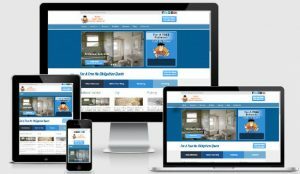 But if you are looking to get a professional image of your business online, a website with no limitations and is set up for success then hire a professional web design company to build your website for you. Best Business Development is based in Wakefield, West Yorkshire and can offer website design services for all budgets. Give us a call on phone no and we will help you to find the right online solution for your business.